The Microsoft partner community is a special group of truly invested businesses and professionals. We see this commitment to global good every day – and we delight in sharing the stories of a few of our partners who are making a difference in the world. Today we are sharing the amazing work of ImageQuest and their support of the non-profit organization, High Hopes for Kids Development Center. We spoke with Co-Founder, President, and CEO of ImageQuest, Milton Bartley, about their philanthropy projects and the inspiration behind the work that they do. 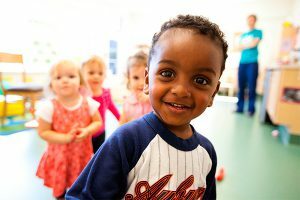 High Hopes Development Center provides a pediatric therapy clinic and inclusive preschool to families in Tennessee. The mission of the founders of the non-profit was to create a place that would meet the needs of families with children who had special needs or chronic diseases. The center consists of a therapy clinic that helps children and youth from birth to 21 years achieve success in all areas of their daily lives through physical, occupational, speech and feeding therapies. 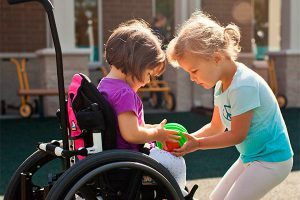 Their preschool has a special inclusive blend of children both with and without special needs in a developmentally appropriate setting. Milton says that ImageQuest got involved with High Hopes for Kids almost a decade ago when after providing some services to the non-profit they came to learn more about the organization. As Milton learned more about High Hopes, he got more involved in fundraising and some other volunteer efforts. Inevitably, ImageQuest got to the point where they provide High Hopes with their critical IT services completely pro bono. Over the years, ImageQuest has provided all the necessary managed services, Office 365 licensing and communication tools, new computers, a new server, even video monitoring systems for classroom and playground security. They helped the organization apply and get grants for their equipment and, if they were unable to win the grant, the equipment was donated to the organization. Through their IT services and frequent support in fundraising efforts, ImageQuest has become an important part of the success of High Hopes for Kids. Milton said that the inspiration for ImageQuest’s support of the High Hopes organization is likely similar to many other benefactors. He said, “It all started with a visit. When you go on site to the facility and you see the work that they’re doing, on both the therapy side as well as the education, you can’t come away from that not touched by the experience. I was just blown away.” He was so affected by the work that High Hopes does every day to help special needs children and their families live a more enriched and fulfilling life, he knew that he needed to help in the best ways he could. From an altruistic perspective, he said that it’s important for employees to know they work toward something beyond just a simple paycheck. Milton said, “We can see that we give back and we can see that we’re making a difference in our community, which makes everyone feel better about where they work.” This helps ImageQuest maintain a strong relationship with the community, helps with team morale, and even helps them with recruiting the best talent. To learn more about ImageQuest and High Hopes Development Center, check out the video testimonial from the Executive Director of High Hopes, Gail Powell. How do you see your business giving back to the community in a big way? Share what causes most inspire you in the comments below.